Are you a food gourmet? Wondering where to find good hawker food? Look no further for the HungryGoWhere Big Eat Out! this Saturday(22 Nov 2008) at Peranakan Museum. Besides indulging in the most happening Heritage Hawker foods from around Singapore, you may get to meet Mark Lee, Singapore’s most famous comedian and Dr Leslie Tay, Singapore’s top food blogger! Early birds could even get a special tour of the museum guided by Mark Lee! BLOG2u (website: http://blog2u.sg) is the social media agency for Explore Singapore! p.s. I am going down for the Mark Lee’s tour. If any of you guys are interested to go with me, please drop me a note. Don’t know how to go to Peranakan Museum? click 39 Armenian Street for directions. This shot is not well-taken! 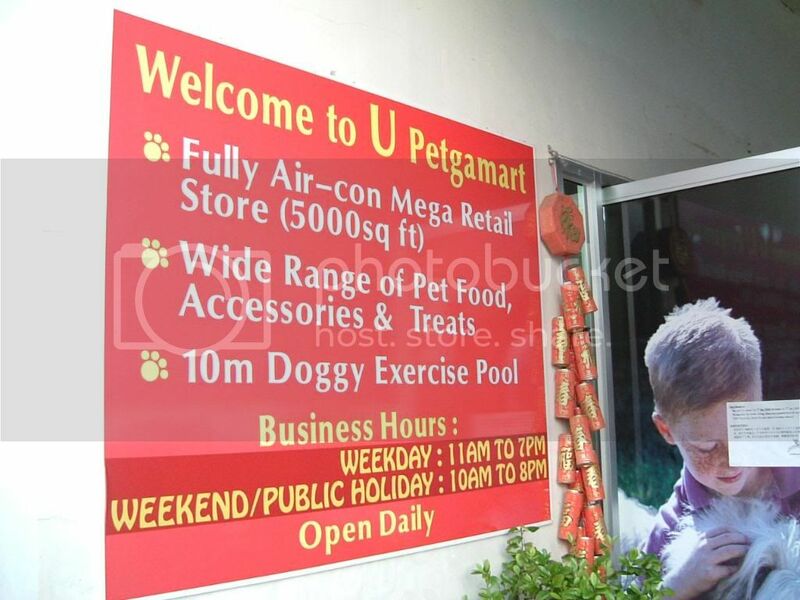 There are a lot of pet stuff over at U Petmamart. It is located at Pasir Ris Farmway 1. The whole world knows the success of Singapore but little do they know that we have farms in such a small Lion City. 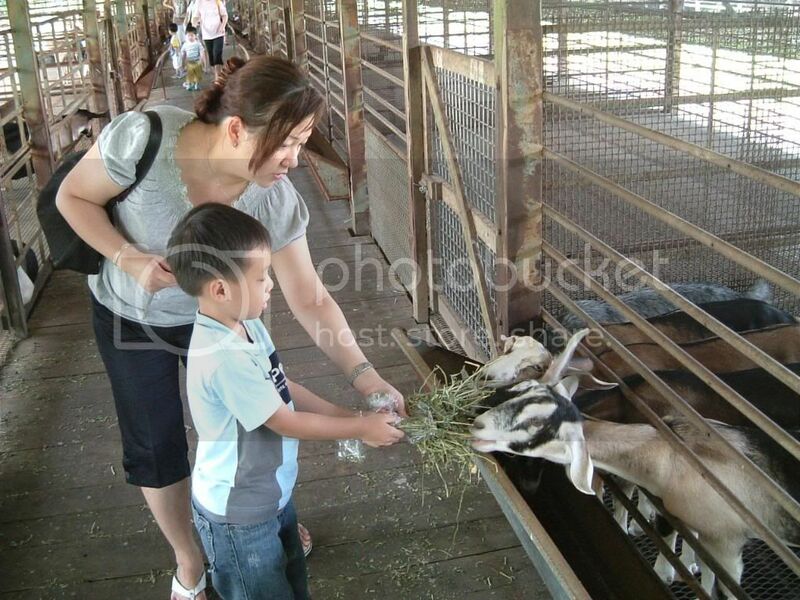 As part of my weekend activities, I spent one of my Sunday morning at Hay Dairies, the only goat farm in Singapore. It is located at very ulu place (a Malay word that used to describe remote place). It was not a very easy place to find if you intend to drive (for convenience, you can consider an express bus service from Kranji MRT station). Although it took us some time to drive to the place (we needed a map to navigate! ), I take this opportunity to enjoy the nature scenery. It was enjoyment to look at the beautiful tropical trees and plantations. We reached there slightly later but still managed to see the milking in time. What a pity?! It would be great to see the uncle use his hands to do the milking. 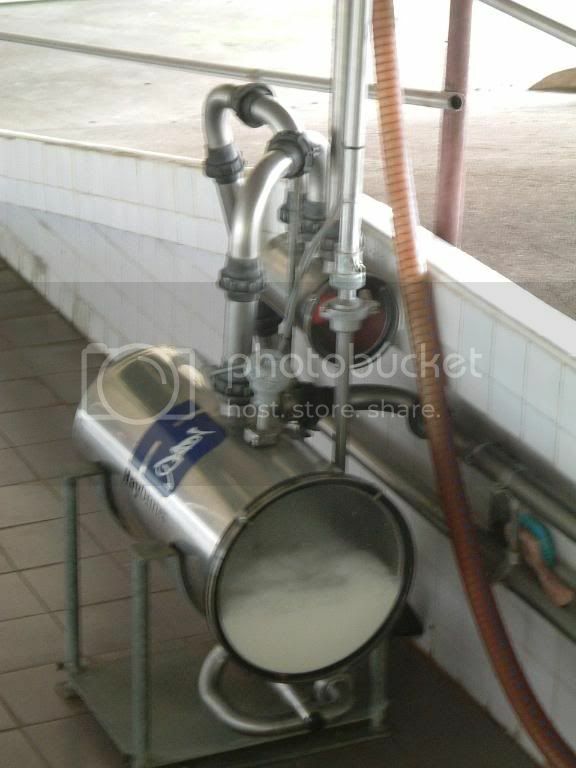 Then the milk is channeled to this machine. We enjoyed feeding the goats. It didn’t have a strong taste like lamb perhaps it’s because I am not that particular. For those who think they can’t stand the smell, chocolate flavour might be a better choice for you. 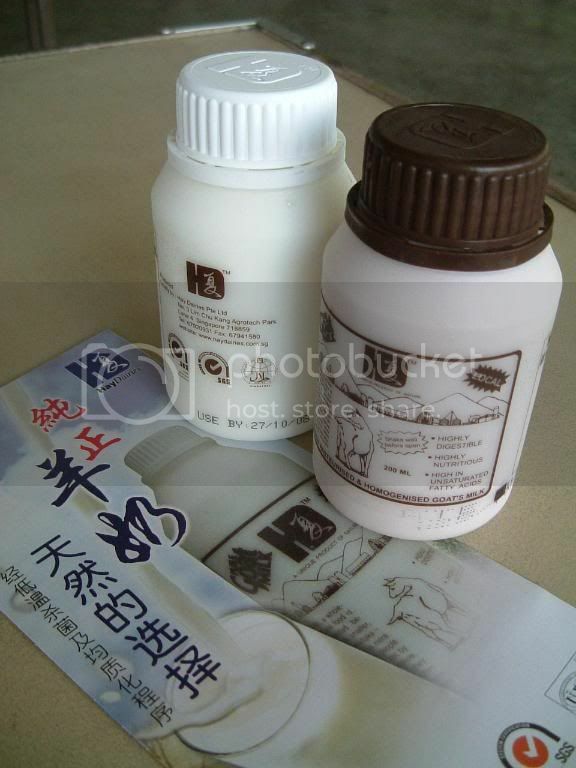 If you want to compare the nutrient level between goat milk and cow milk, you can visit this site. By the way, you can’t buy goat milk over the shelves. You have to buy directly from Hay Dairies. A follow-up of Ridzuan’s email – “Keep it going. Don’t lose heart!” It is pretty clear that the market is filled with pessimism especially of the poor performance in the US retail sector. The retail sales in US declined to 1.2% in the month of September. (Read article here). It is pretty obvious that export-driven Asia economies will be badly affected as the demand of US falls. For those who are involved in a high burn-rate technology early-stage startup, it is going to possess a really big problem in your venture as many PE/VC are reducing their positions instead of investing more on new ventures. In fact, big MNCs are taking the opportunities to look for “bargain” in the market. M&A will still remain strong despite the global meltdown but that only benefits private companies which have reached a certain scale (Read article here). For those startups that are still in the infant stage, better know how to control your spending. Only the Fittest Survive! If the company can pull through the bad weather, the market will definitely value it differently. This blog post is not meant to discourage passionate people who are starting up. In fact, I admired people like Ridzuan and Kelvin for taking the path of an entrepreneur. Bad time doesn’t always mean problems. It possesses opportunities too. As mentioned by Ridzuan and Bernard, it is the best time to hire talented people since the big players have already reduced or froze hiring. If you haven’t read Ridzuan’s email, you can access from here. Guys, Finally, I am starting up a new organisation. My first event is on this coming Saturday. Please see below. Technopreneurs’ Association of Wireless Applications (TAWA) was set up in 2008 with the main objective of promoting the wireless sector in Singapore. TAWA aims to provide companies, academia, aspiring entrepreneurs and prospective investors focusing on the wireless technologies a common exchange platform through a series of industrial sharing sessions and social networking activities. TAWA Networking Forum is a series of high-tea style networking event whereby young professionals and students passionate about wireless technology will come together to share their knowledge and opinions on trends and issues in the wireless sector. The main objective of the TAWA Networking Forum is to foster stronger ties between education institutions and the private sector. Be ready to meet up with other enthusiastic, technology-savvy people and have a fun, fruitful networking session! See you there! This is the opportunity that cannot be missed! Sign up for our first TAWA Networking forum here! 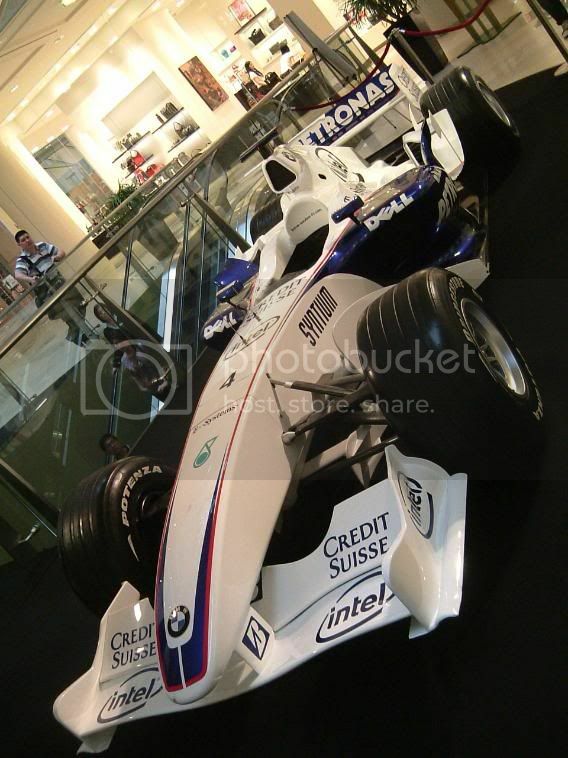 Guys, I walked past Raffles City this morning and got to see a display of F1 car. I believe it is a campaign held by several companies. BMW, Credit Suisse, Intel and Dell are one of the companies participating in this campaign. I am not sure about this but I overheard some onlookers that there is a free photo taking with the F1 model on 22 Aug from 8pm to 10pm at Raffles City. 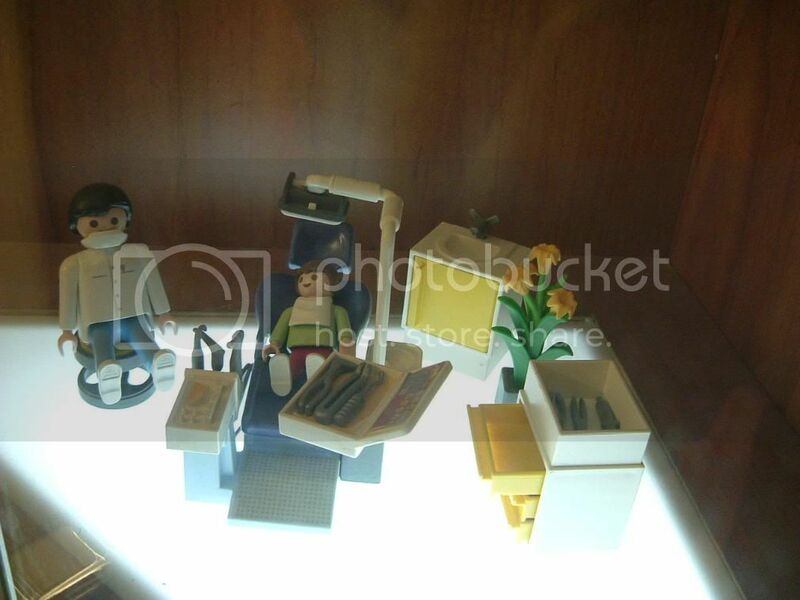 I intend to write an article on dentistry in Singapore and Blog2U has referred me to this dental clinic – TOOFDOCTOR. It is located at Tanjong Pagar Plaza, pretty near to Tanjong Pagar Station. Unlike those boring clinic you see in the HDB, TOOFDOCTOR has done a terrific window dressing with vibrant colourful design in the clinic. Personally, I like this LEGO figures displayed in the glass cupboard. After a short waiting, I entered Dr Diong’s room. It is another feeling. 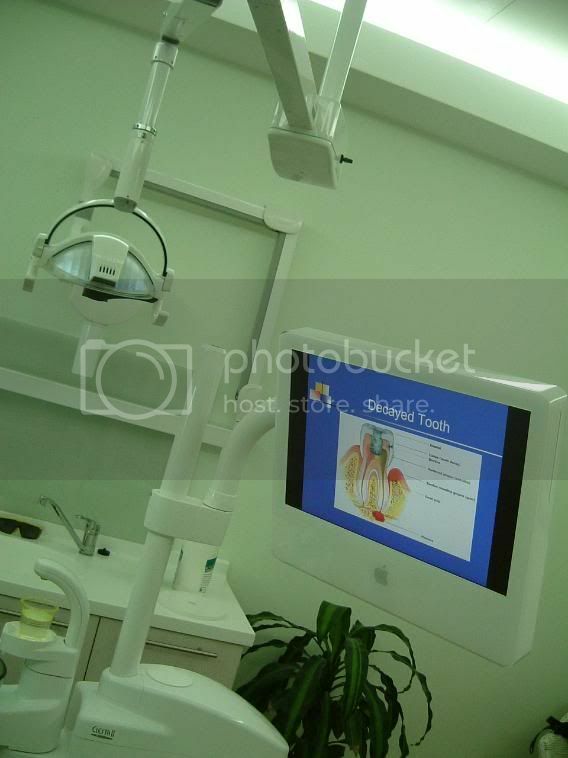 There is no fanciful design but the dental unit integrated with the Mac computer has been very prominent under the contrast of the simple and plain-designed room. Overall, his room gives a very pleasant, comfortable and professional ambience. I feel at ease lying on his integrated dental unit. Well, this is Dr Diong’s room. I got to know that there are different design themes for other rooms. 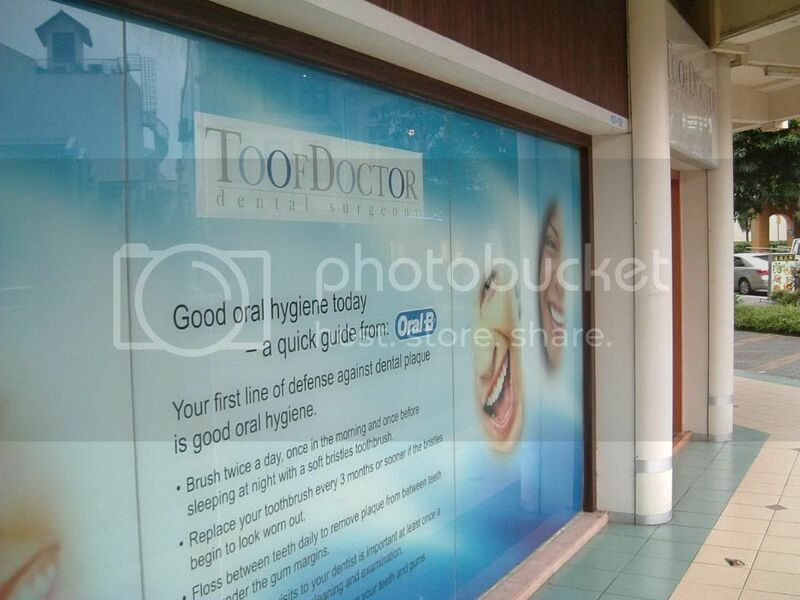 You can view them at the TOOFDOCTOR website: http://www.toofdoctor.com.sg/Where_we_work.html. Dr Diong has done a very detailed examination. 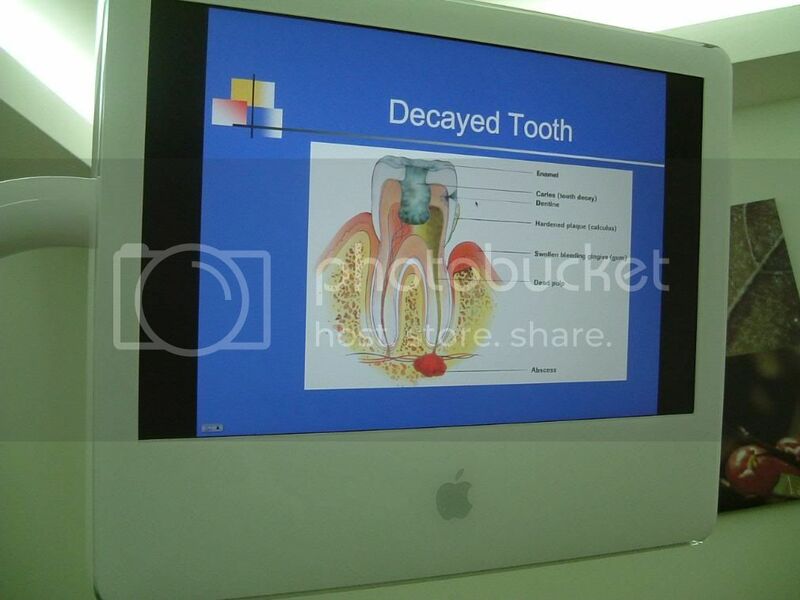 Without any use of jargons, he explained the problems of your tooth with the help of diagrams and presentation slides. (Well, the slides presentation looks cool on a Mac computer!). The diagram illustrated the problem of a sensitive tooth. (Yes!! That’s the problem I am currently facing) Dr Diong filled up the exposed area and I would need to use a desensitizing toothpaste to brush my teeth. Overall, the dental experience with TOOFDOCTOR was good. 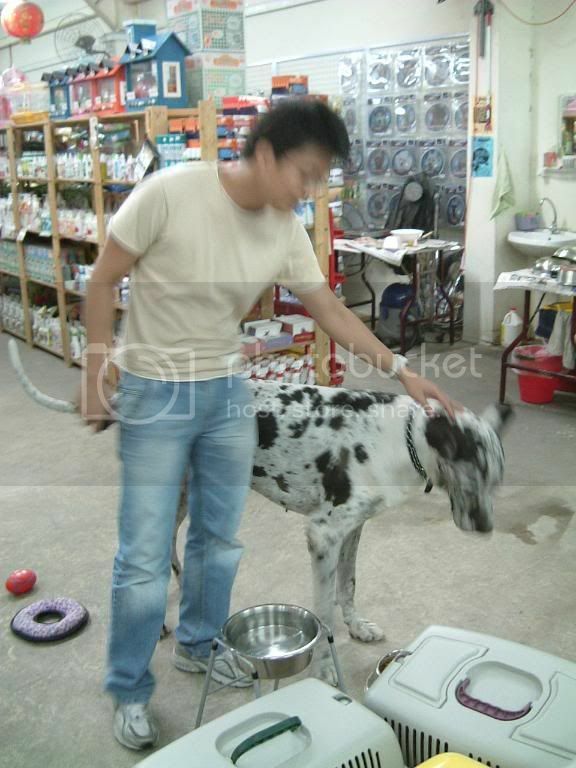 The clinic used various forms of equipment to ensure that it delivers comprehensive treatment to the patient. – A one-time consultation fee of $20/- for new patient. – If you are going for half-yearly maintenance, the price of scaling and cleaning will range from $60 to $100. While I was walking along Orchard Road a couple of days ago, I saw one ang mo standing in front of the Marriot Hotel taking pictures with his SLR Camera. He is taking picture of a Yellow Lamborghini. Haha! I, in fact, joined him in the photo taking of the car! There is a Singapore flag hanging at the glass window. VIP guest from foreign countries?? hmm…or simply, the owner just want to feel the National Day Atmosphere? 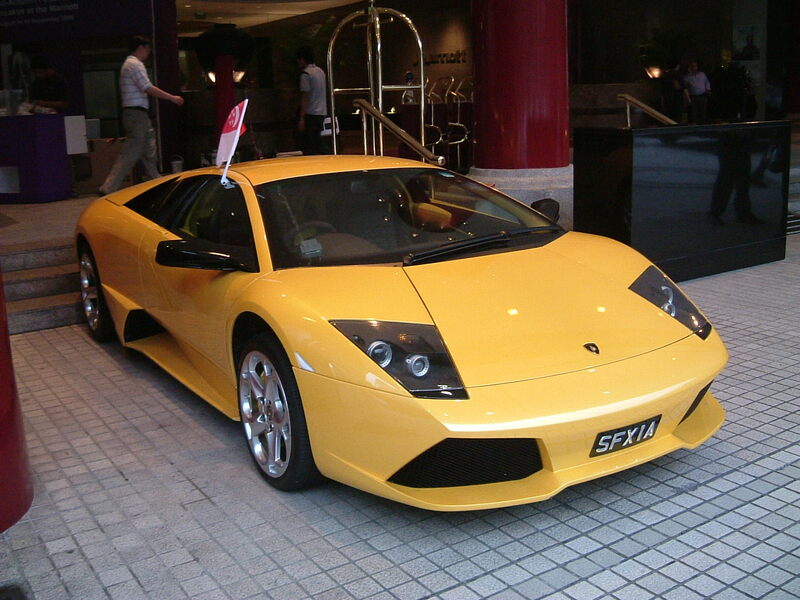 Anyway, cool sport car but not practical in Singapore.